It’s the beginning of a beautiful fall weekend . . . the air is crisp, but not too cold; and for the time being, the government is up and running. 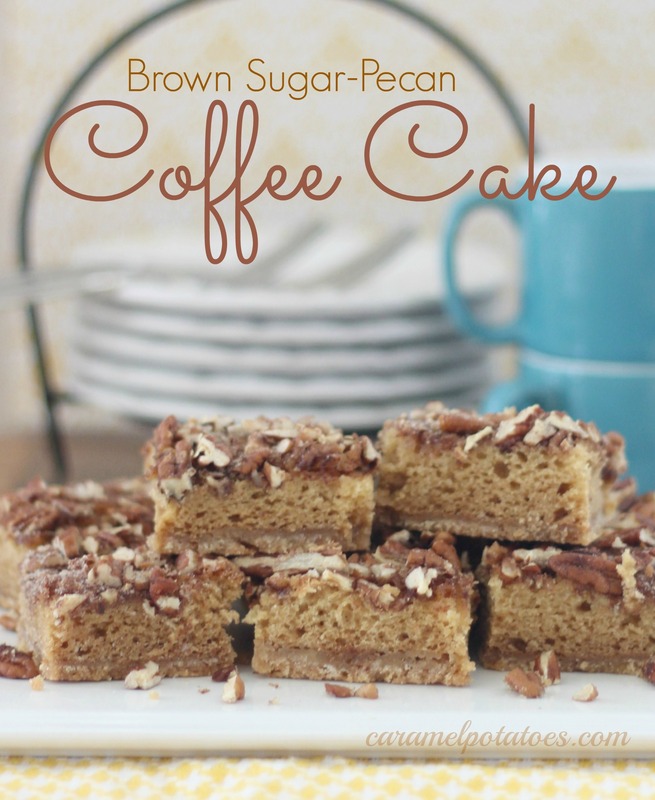 Sounds like a great time to relax and enjoy this Brown Sugar Pecan Coffee Cake. 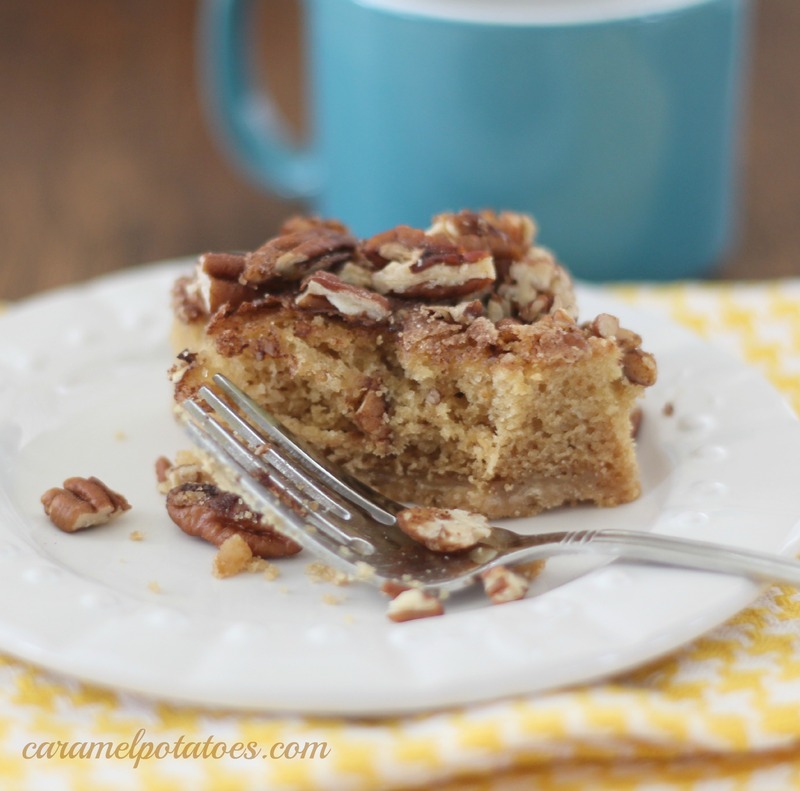 The mix of brown sugar cake topped with lots of crunchy pecans is heavenly. It’s so easy to put together – what are you waiting for? Note: You’ll want to keep this recipe on-hand – it’s perfect for holiday entertaining. Stir together flour and brown sugar in a large bowl. Cut 3/4 cup butter into flour mixture with a pastry blender or fork until crumbly. Press 2 3/4 cups crumb mixture evenly on the bottom of a lightly greased 13- x 9-inch pan. 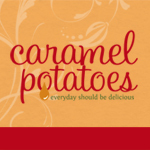 Serve for breakfast, brunch, dessert, or just because you can!